Michael Ward is a freelance writer and researcher, specialising in economic and social policy. 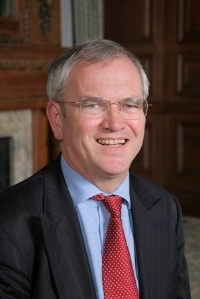 He was previously Deputy Leader of the Greater London Council, and later Chief Executive of the London Development Agency. He now chairs the boards of the Centre for Local Economic Strategies, a Manchester-based policy research and consultancy organisation, and of TWIN and TWIN Trading, a pioneer of the Fair Trade movement which works with farmers and smallholders in the global south. He is currently a Visiting Research Fellow at the Centre for History in Public Health, where he is working on a study of Beatrice and Sidney Webb. Michael has a first degree in Philosophy, Politics and Economics, and an MA in Social and Economic History. Richard Adeshiyan, is an accomplished journalist and Director of Adeshiyan Media. He has 27 years print, broadcasting and media consultancy experience. His reputation and vast network straddles a range of professions, giving him a unique understanding in the field of public relations. Over the past ten years Adeshiyan Media has worked with a diverse client base, which has included mapping out strategy for small to medium sized business, entrepreneurs and media professionals. Jane Couch-Finnemore is a partner with Devon Law Firm WBW Solicitors. She has practiced law for the last 20 years specialising in clinical negligence. Jane lives with her husband and two children on the edge of Dartmoor. When not working she enjoys reading walking and horse riding across the moors. Carinya Sharples is a freelance journalist, editor and social media producer. She has previously worked for the BBC World Service, including running the BBC Ebola Facebook and WhatsApp public services, recognised with both Peabody and Online Journalism Awards. She has also written and worked for The Guardian; Time Out; Visit London; Channel 4's BAFTA-award winning Live From Space and Don't Stop The Music; ARISE Magazine (as Assistant Editor); The Pavement (as Deputy Editor); and Techmix (as Editor). Alongside her freelance journalism, she is currently producing an multi-platform oral-history project to mark 50 years of Guyanese independence, entitled Guyana50: Memories of Life in British Guiana.